DRI & DCA ARE CLEVELAND KICKS-IT CHAMPS FOR 2015! - Direct Recruiters Inc. The Direct Companies of Direct Recruiters and Direct Consulting Associates are the 2015 champs of the 6th Annual Cleveland Kicks-It Event! Cleveland Kicks-It is an annual corporate kickball tournament that takes place on Progressive Field to raise money for children’s cancer research. 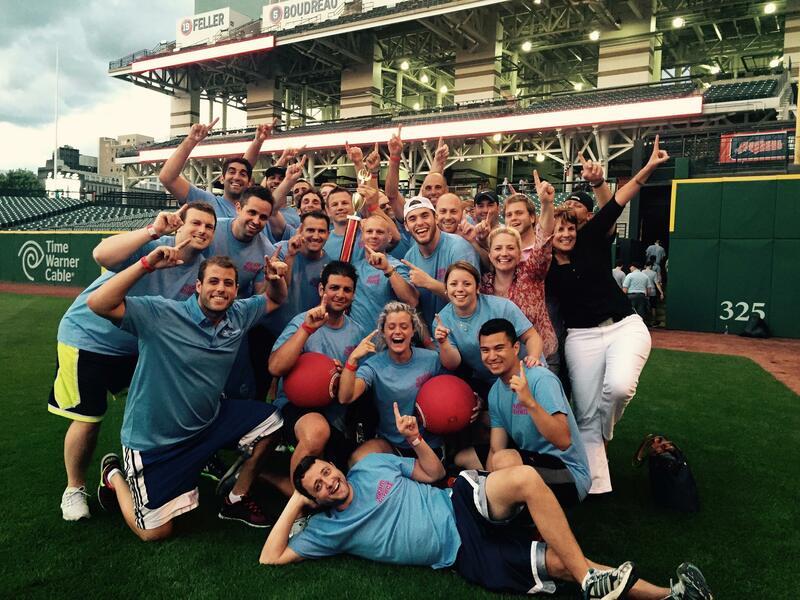 A number of Northeast Ohio corporate teams competed for the coveted “Best Kickball Team in Cleveland” trophy and to make a difference in the lives of children with cancer.